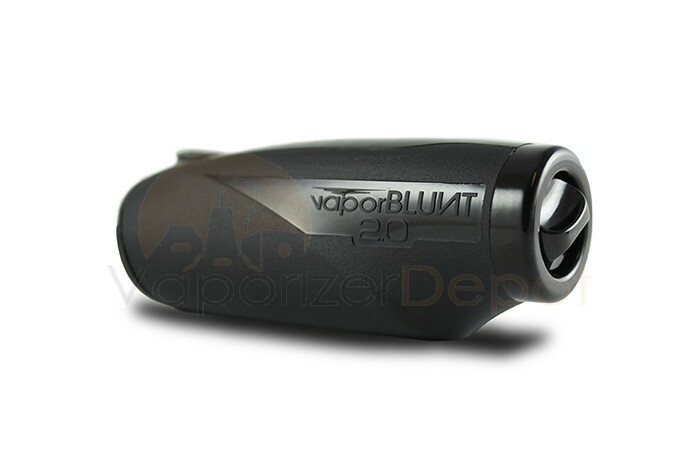 The brand new VaporBlunt 2.0 Vaporizer is a huge leap forward in Portable Vaporizer Technology. It works for both essential oils as well as dried blends; not to mention it is easily portable as the unit is half the size of the original VaporBlunt. The unit is sleek and compact, capable of fitting easily in a purse or pocket, and it can run for up to two hours on a single charge depending on the user’s desired temperature setting. Something truly unique about the VaporBlunt 2.0 is the Internal Stirring Knob, which enables the user to stir their blend inside the vaporizer while the heat is still going. This creates more airflow in the heating chamber and more thoroughly vaporizes the material so more of the essential ingredients are released. VaporBlunt went above and beyond anyone’s expectations with the second iteration of the VaporBlunt. Not only is it more compact and portable, but it employs only one button for all functions. Users can power on the unit by quickly pressing the button which displays the battery life; another press activates the temperature settings. Every subsequent press increases the temperature level from 1-5. A flashing green light comes on when the stainless steel filling chamber is heating up and once the desired heat level is reached, the light becomes a solid green. The VaporBlunt 2.0 works flawlessly with either dried blends or essential oils either at home or on the road. 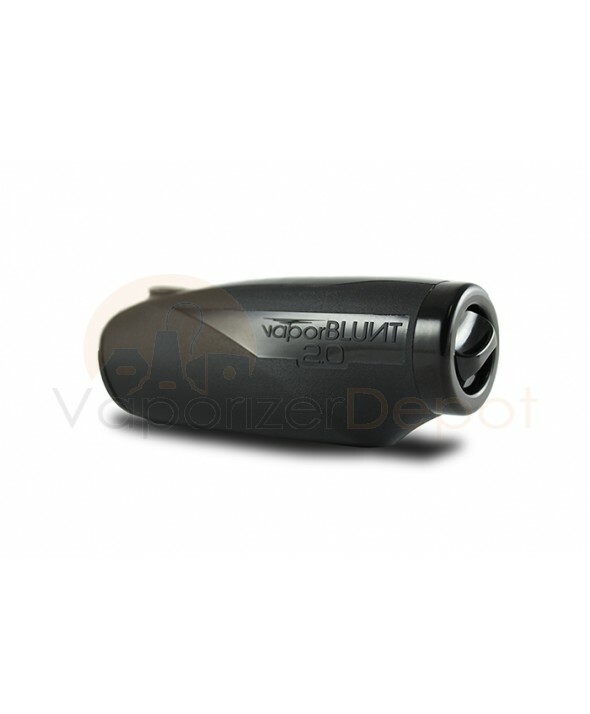 VaporBlunt 2.0 also features an aromatherapy option and an emergency shut off function that will turn the unit off if it goes inactive for 12 minutes. All in all this is an ideal portable vaporizer for the vapor enthusiast who wants something potent without sacrificing portability and efficiency. I picked this vape because of all the good reviews I had read about it online. It lived up to all my expectations and then some. I work as a doggy day sitter so I needed a portable vape that I could take with my on long walks. I have tried a few other portables and noticed that some of them are not nearly powerful enough to suit my needs so I looked long and hard for a portable vape with some horsepower under the hood. I had a Palm vaporizer before and even though it was super small and discreet it just couldn't produce the thick vapor that I was looking for. I am so glad I went with vapor blunt. Their warranty is good and the Vaporizer Depot customer service is great. I had my tracking order within 48 hours and watched it ship cross country here to Boston in just a few days.